Carolyn Spicer Russ – Olds Russ Marquette & Peace, LLC. Attorney Carolyn Spicer Russ focuses her practice on estate planning, estate administration, real estate, and elder law. Estate planning – Carolyn Russ guides clients in preparation of wills, trusts, powers of attorney, and living wills. She advises on ways to avoid probate and minimize taxes. She also educates clients on the importance of will substitutes like joint accounts and life insurance and retirement account beneficiary designations. Estate administration – Carolyn Russ assists heirs in handling the probate process, preparing inheritance tax returns and meeting the requirements of the Register of Wills and the Department of Revenue. Real estate – Carolyn Russ facilitates simple title transfers, and prepares the paperwork and conducts real estate closings when there is no mortgage or realtor. Elder law – Carolyn Russ counsels clients who seek to protect assets in the event of admission to a nursing home, and assists families with Medicaid applications. 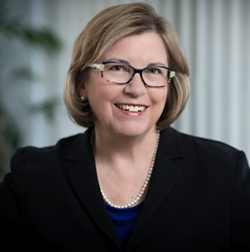 Continuing legal education – Carolyn Russ is committed to continually expanding her knowledge of fields where the law and practice and expectations are continually changing and growing. She regards continuing education as an absolute necessity.